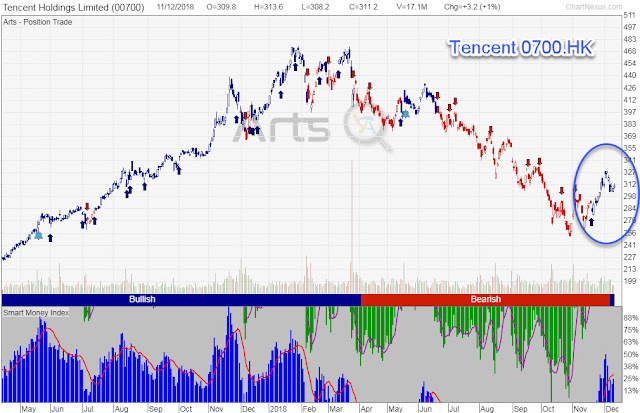 Tencent Holdings Limited is an investment holding company principally involved in the provision of value-added services (VAS) and online advertising services. The Company operates through three main segments. The VAS segment is mainly involved in provision of online/mobile games, community value-added services and applications across various Internet and mobile platforms. The Online Advertising segment is mainly engaged in display based and performance based advertisements. The Others segment is mainly involved in provision of payment related services, cloud services and other services. Tencent also own Wechat, one of the popular chatting platform with multiple functions.